I made this quilt for another recent arrival. 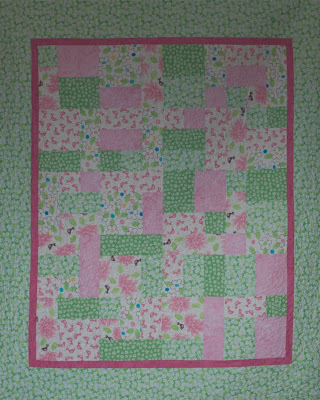 Astrid arrived a week late a month ago but I only finished the quilt last week. 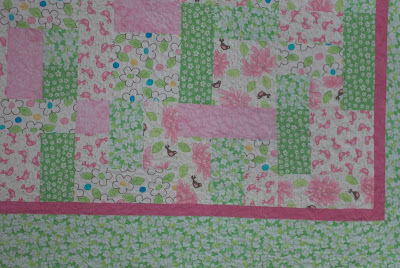 I'm really happy with the bright, fresh pinks and greens, although this photo doesn't show them very well. This detail provides a better view of the fabrics, which are from Moda's Me and My Sister Designs. 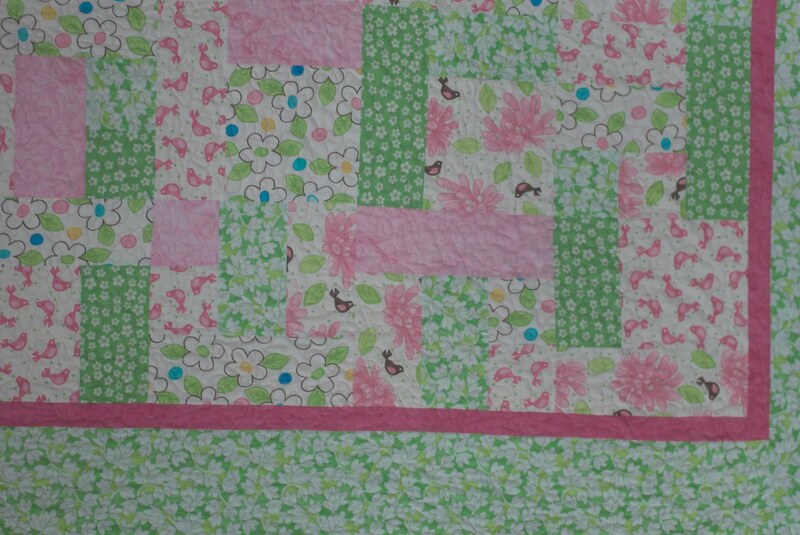 I do like the fresh feel of this quilt and I am sure that it more than makes up for you being a bit late with it.